TWCS Publishing House 4th Birthday celebrations! From their very first book, Blind Faith by Michael Schneider, to their most recent release, Twelve by T.M. Franklin, The Writer’s Coffee Shop Publishing House has been dedicated to giving their readers the best stories they can. Their books have hit The New York Times Best Sellers List, Amazon Best Sellers List, and Amazon Hot 100. After four years of success, The Writer’s Coffee Shop Publishing House wants to celebrate and you all are invited. I’ve got good news and I’ve got better news. In the US The Stars Are Falling spent the whole of its opening weekend in the top 100 on Amazon. The better news is that The Stars Are Falling opened at number 5 and spent its entire first weekend in the top 20 on Amazon UK! It’s always exciting when a book sits happily in any of the best sellers charts, and I have done many a happy dance with my short stories when they are released, but with The Stars Are Falling it was all that much better. Number 5 is the highest I have ever been in the charts. And after the disaster of a release day (thanks to Amazon for that mess! ), to see my baby book so close to the top was fantastic! Top that off with a fantastic release party on the evening and more books sold there than I had hoped, and I had a fantastic weekend last week. So what can possibly top the opening weekend? Well, I have a second release party at the start of next week, two more signings this month, two signings next month as well as a couple of possible conventions, and a trip to Texas later in the year. And I am booking things in for Christmas and 2015 already! So it promises to be a long ride between now and my next book release, but an enjoyable one! 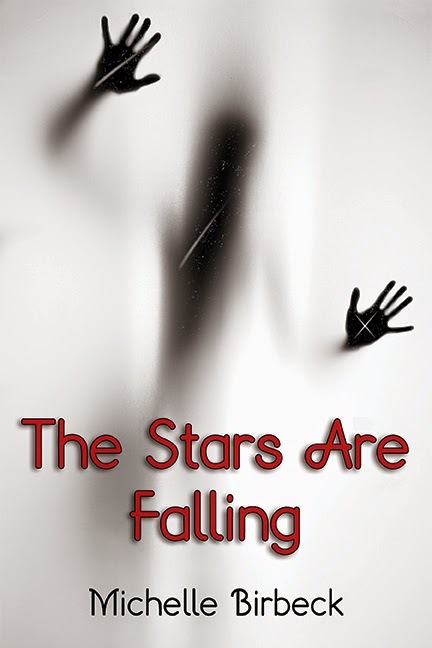 If you haven’t got The Stars Are Falling yet, here are the links. 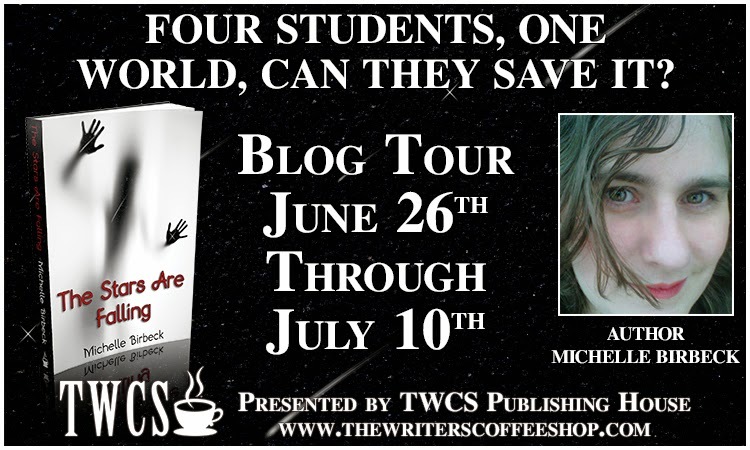 It’s Excerpt day on the blog tour today! So it’s time for something a little longer than the Tuesday Teaser posts you’ve been getting for the last couple of weeks. Here’s a bit from chapter 11. I got to the railing just in time to see the splash. But when I glanced up, Mark was already being set upon by the gang. Dark as the water was, I couldn’t see if Stacy came back up. Given the blows to her head, I doubted it. Turning on my heel, I sprinted back to the car. There was a torch in the glove compartment, always was. “Help Mark,” I shouted when I passed Dale and Alexis. They went shooting off to assist him, and I continued racing for the car, for the torch. I had never met Stacy before, but seeing her go over the bridge… I had to check that she’d come up again. Torch was exactly where it was supposed to be; in the glove box, at the back. One flick to make sure it was working, and I was running back for the bridge. The gang had dissipated some by the time I got there. With Dale, Mark and Alexis they had fled, only a couple of stragglers staying behind to shout obscenities. I shone the light over the edge frantically, but couldn’t see her. Couldn’t hear anyone gasping for breath in the relative quiet, either. No splashing. Nothing. On the other side, I leaned as far as I could, shining the torch as far under the bridge as the railings would let me. There! The light caught something and I swept it back. Up against one of the bridge supports. 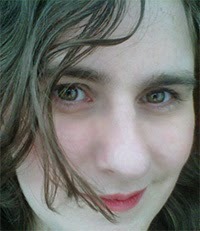 A face, dark hair. No movements. She was out of the water enough to not drown, but not enough to survive the icy soak. “I can see her!” I called. At the sound of my voice she flinched, moved. Eyelids fluttered against the light, but she wasn’t awake enough to swim yet. There was only one way that came to mind to get her out of the water. “Dale, can you get the car down there?” I pointed to the piece of park land that ran alongside the bridge. Before he had chance to say it or talk me out of it, I leapt. Up onto the railings, first. Then down, straight into the water. As you can see, things are heating up! Or cooling down, as the case may be. 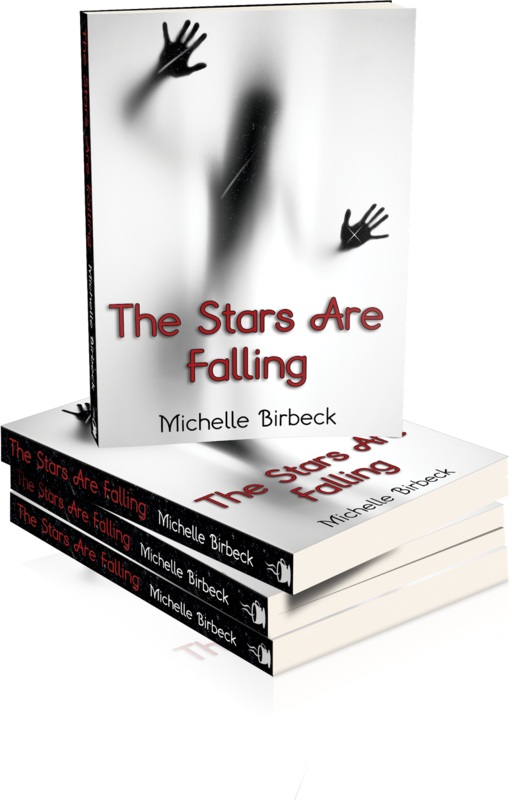 The Stars Are Falling is now out, and available across all the platforms, including B&N, Kobo, Amazon, and the ibookstore (just search for Michelle Birbeck). 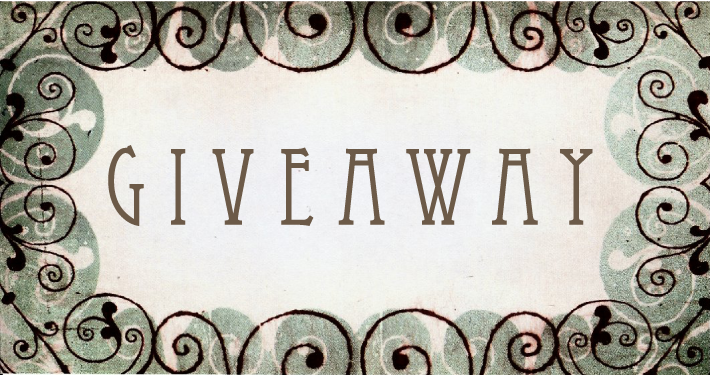 And for those of you who are inclined to enter giveaways, there’s one of those happening, too! 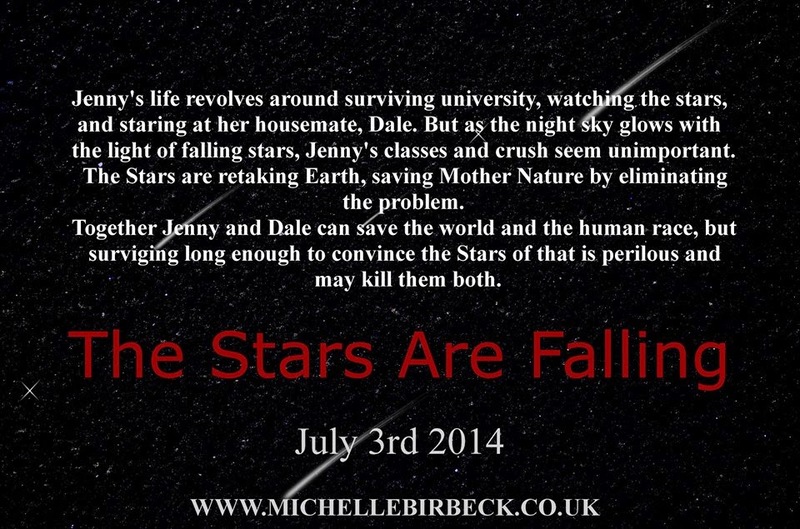 Where you can win a paperback or an ebook of The Stars Are Falling! With less than 48 hours until The Stars Are Falling is out, have a final teaser for Sherri Hayes’ Tuesday Teasers. By the time I’d finished packing it up and turned around, Dale was still standing there, waiting for me. There was an expression on his face, somewhere between fear and something I couldn’t quite put my finger on. I didn’t dwell on it. Instead I slung my telescope over my shoulder and trudged up to the house. He was still stood there when I reached the door. Don’t forget to check out some other teasers over on Sherri’s blog.